Girl Talk produces games as much as music. With each subsequent album of mash-ups, the consensus, among friends of mine, is that the music itself isn't as interesting as its parts. 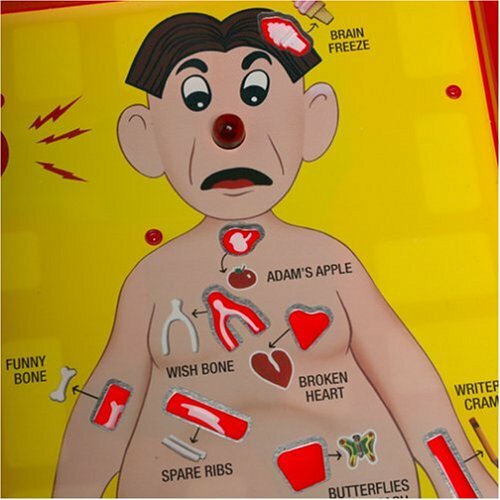 It's a game to pick out the pieces among the body, like Operation. On 11/15, Gregg Michael Gillis surprised us with a new album, free for download through Illegal Art, called All Day. It is, ultimately the same fare as previous efforts like Night Ripper, Feed The Animals, etc., insofar as the album is a Frankenstein-ian manipulation and re-assembly of music we already know and may or may not love. All Day isn't as fast-paced as its predecessors, which makes it a different type of listen, but aesthetically it remains successful. I can see the logic of Girl Talk's detractors. It's not new, or original, and I'm sure that many listeners would struggle to pick All Day out of a line up of his other work, meaning that these albums are difficult to consume as individual pieces, much less tracks, into which All Day is broken "only for easier navigation." I suppose my question becomes this, why do we attempt to judge Girl Talk, or other mash-up albums the same way we judge original albums? And how can we judge an album like this one to be aesthetically valuable or musically interesting in a way that doesn't require us to compare to individual focused originals? The issue with Girl Talk, and especially with All Day is that it is judged as only the sum of its parts. That our view of mash-ups doesn't seek deeper connection between tracks, and that there doesn't really appear to be a great narrative happening, or if there is we are too distracted by the samples we recognize, the bass lines, the riffs, and the choruses, to see the forest built by all those beautiful trees. And since we, as a society, value ingenuity and originality above much else, we feel vindicated in choosing not to appreciate mash-ups or at very least to see them as cute projects. 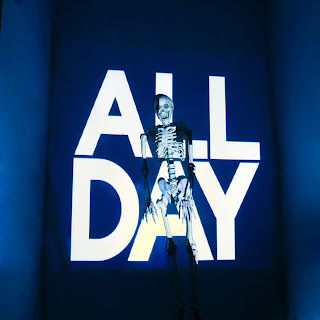 All Day uses somewhere around 700+ samples to compose its monstrous form. That, in itself, regardless of opinions on individual samples or the whole of the music should remain somewhat awe-inspiring. I can't imagine myself taking the time to find that many pieces of songs in the first place, let alone to sit and assemble them into something cohesive, dance-able and fun. Really, the mash-up is like a musical quilt. Each sample is a patch, and those patches come together into something that's huge and cozy and warm (well, or you know, dance-able and fun). So, from a purely work-effort standpoint, Girl Talk is an insanely complex undertaking. I guess, my point here is that even the ugliest building can be appreciated for how much work has gone into it, even if you'd never choose to live in it yourself. We want music to substantive. We want to garner meaning from it. And we see from many artists that their form expression, whether it is music or painting or sculpture, to be a window to their thoughts and something we can apply to ourselves and a better understanding of our world. Girl Talk doesn't give us that, not in a traditional sense. Instead we receive a broad overview of our musical world. The reason why All Day is good, is valuable is not because it does something that hasn't been done, it's because it gives us nostalgia and a survey of the musical world. Even the greatest collector of music doesn't own everything, and through sampling we hear things we might not choose to hear. Girl Talk provides that kind of forced exposure to new things, it broadens our listening base by giving us a little bit of everything. Philosophy aside, All Day is cohesive and well-assembled. It's fun to listen to and blends disparate themes and images like a Dali painting.